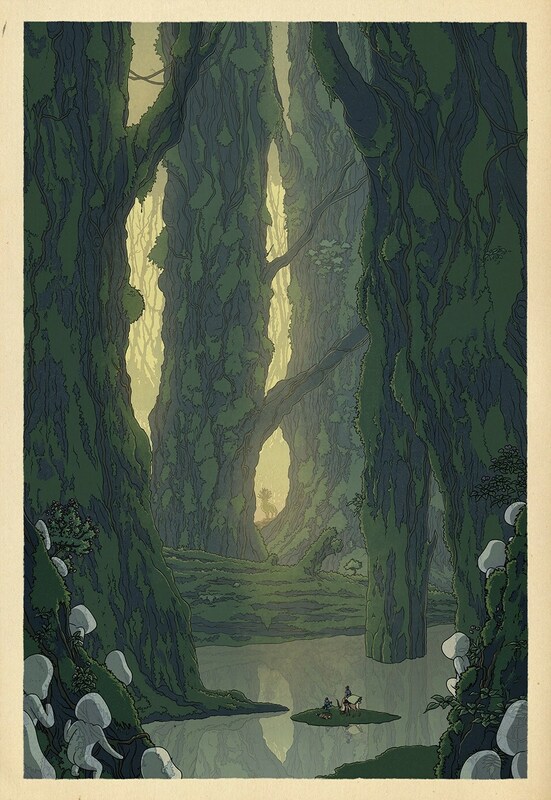 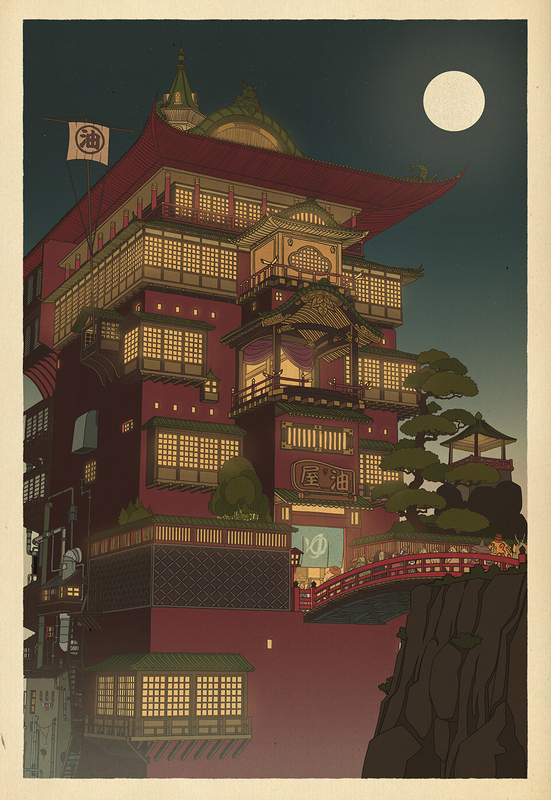 The stars of Hayao Miyazaki's films recede into the background in a series of prints inspired by Japanese woodblock artist Kawase Hasui. 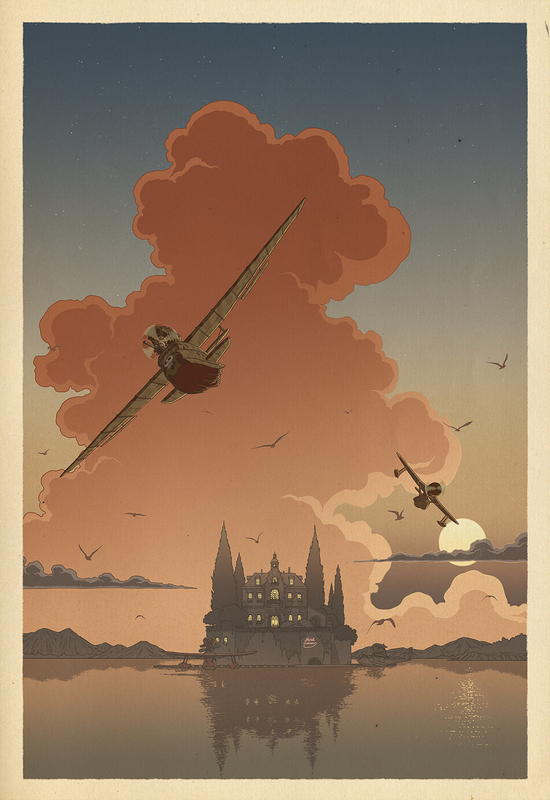 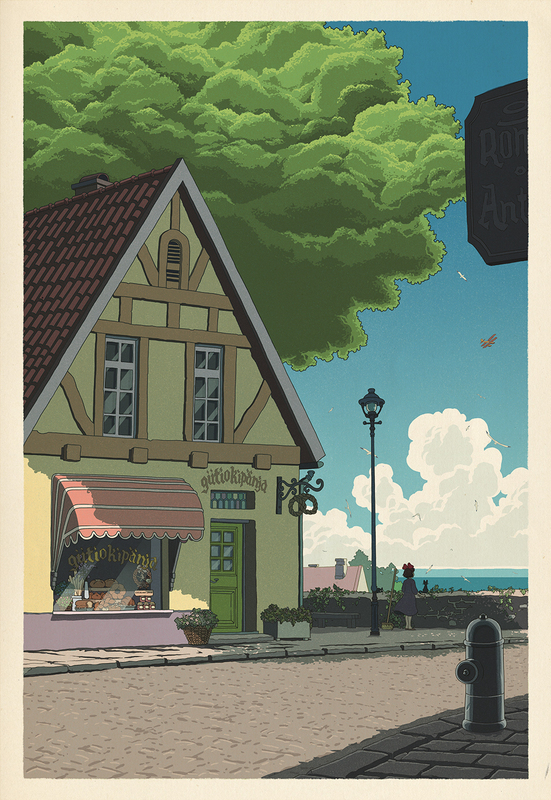 Instead of standing front and center, familiar faces like Lupin, Totoro and Kiki become distant figures, dwarfed by beautiful landscapes illustrated by artist Bill Mudron has in Hasui's distinctive style. 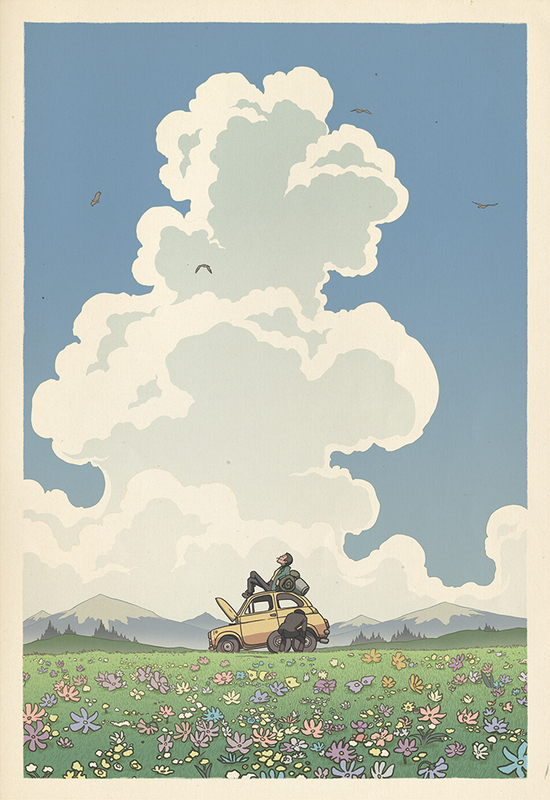 The prints are currently available for preorder. 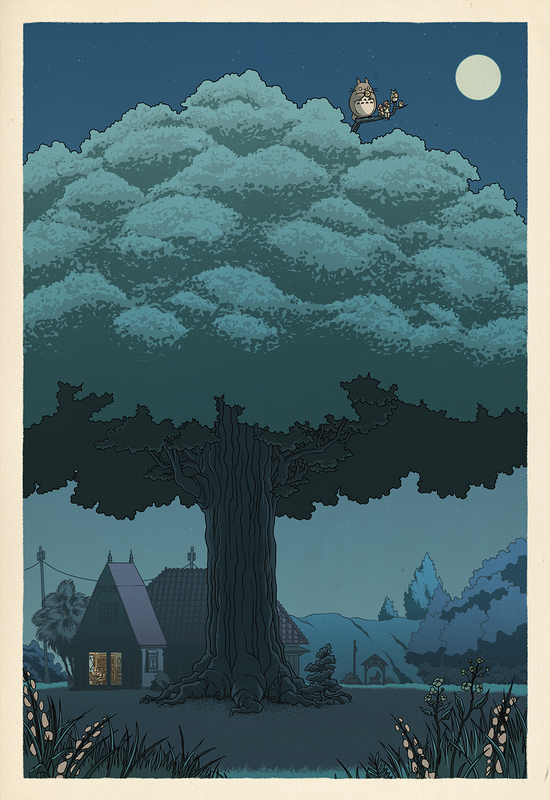 For more from Mudron, including a series of video game maps based on Legend of Zelda, Castlevania and Super Mario Bros, check out his online portfolio.